As a recent convert to Old Dead Volvos in the most literal sense, I’ve come to appreciate the virtues of the 164. To many people the B30 is an anomaly and something of an evolutionary dead end (the Penta AQ170 series marine engine notwithstanding). To me, however, it is an interesting offshoot of the traditional Volvo ethos of safety and economy. 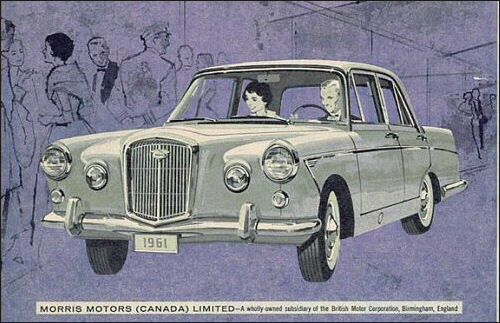 The 164 was meant to compete against the lower level luxury class from the Europeans, presenting a face that only an Englishman could love: the Wolseley 6/99. 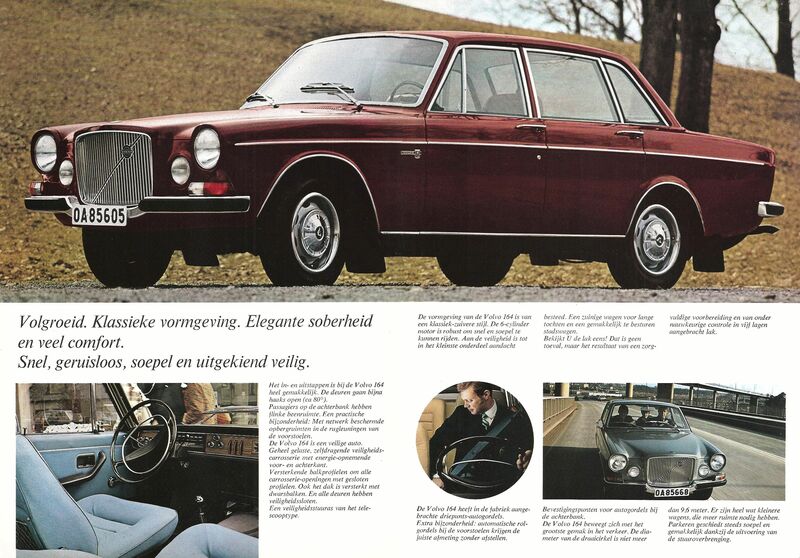 This very fact alone told you who the Swedes were trying to market this car towards, but in the end it also appealed to the American tastes: larger engine, longer wheelbase, leather interior and fuel costs be damned. 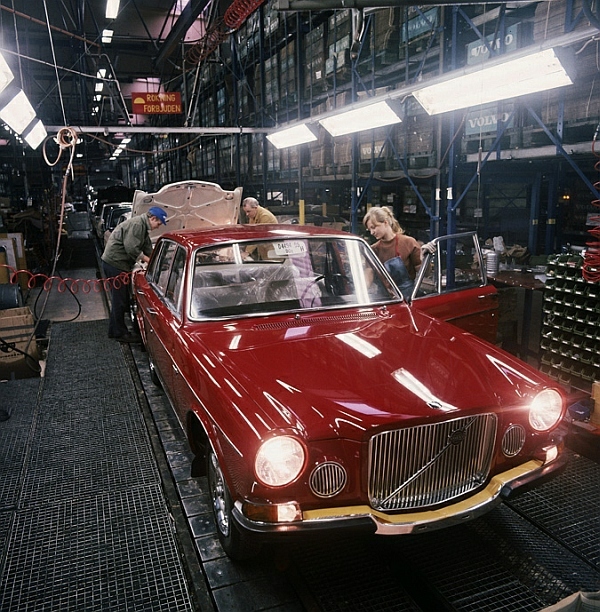 By 1973, the Volvo 164 gained the suffix E and B30 Bosch D-Jet fuel injection and was a fairly sprightly performer. In Federal trim it generated 138 net hp and sprinted 0-60 in 10.8 seconds, and testing produced a fairly impressing average of 17.8 miles per gallon. These figures will come into later on, so don’t forget them. That miles per gallon number would be critical when gasoline became scarce in thanks to OPEC in 1973. Suddenly, the traditional full sized American automobile didn’t seem like a great idea anymore, and the consumers appetite shifted into high gear towards smaller and more efficient models, something that had started a little over a decade earlier with the Ford Falcon, Chevy Corvair and Mopar’s Valiant. Gasoline prices effect everyone equally and just as much as John Q. Public felt the pinch in the wallet, so did government agencies. As one of the biggest purchasers of vehicles, the law enforcement agencies took the brunt of this right where it hurts most – in their budgets. Since police officers spend most of their workday in their rolling offices, higher gas prices were not a good thing. True to their belief that there was “…no logical, tactical, economical, legal or moral reason why any sedan used by any government agency need be larger than…an intermediate” MT pitted the 164E up against the Chevrolet Nova, Dodge Dart, Pontiac Ventura (a Nova clone), AMC Hornet and lastly a Plymouth Valiant. Since the tide of foreign cars was definitely here to stay, the test also included a Datsun 610, Mazda RX4 and a Toyota Corona MKII as purely administrative vehicles. Guess what car didn’t win? That’s right – with an overall score of 78.17/100, the Volvo 164E was the winner (I wish I could post a photograph of the 164E decked out in LASD livery, but there are exactly zero on the web or in any of my police car reference books). The Nova came in a very, very close second at 78.14/100. 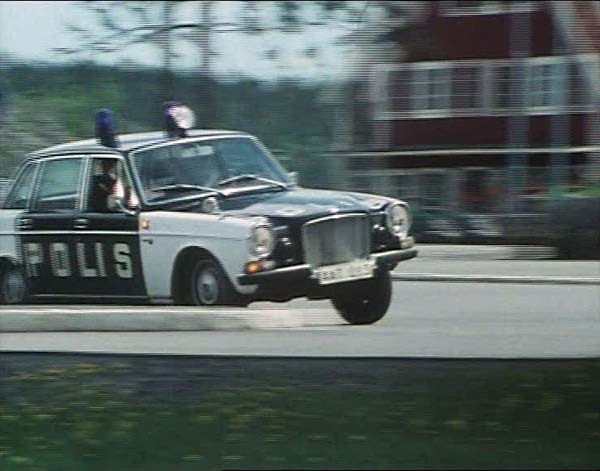 By 1974 Volvo had a history of providing police spec vehicles in Europe so it was not impossible that they would field not only a competitive vehicle but the overall winner. MT explained that the 164 was taken from the assembly line at a very early stage and turned over to the Special Vehicles section at the factory, where special suspension, heavy duty interior bits and heavy duty wiring for lights and communication equipment. It is no wonder the 164 rated so highly. Back to that fuel economy number that was all so critical in the fuel shortage years. The next best economical car was the slant-six equipped Valiant at 15.89, with the Nova clocking in at 16.15. These fuel economy scores were calculated with lights, sirens and AC on. Even when “having the hell barrelled out of it”, the Volvo still managed 14 mpg or better. 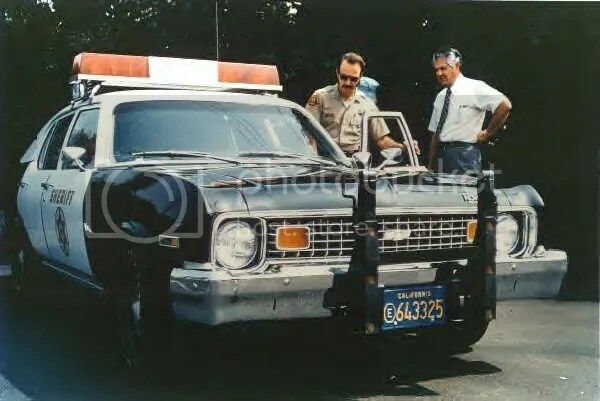 When the average LASD police car for 1974, an AMC Matador, averaged 6 mpg over 25,000 miles in a year, you can see why even 1 mile per gallon more could make a tremendous difference. 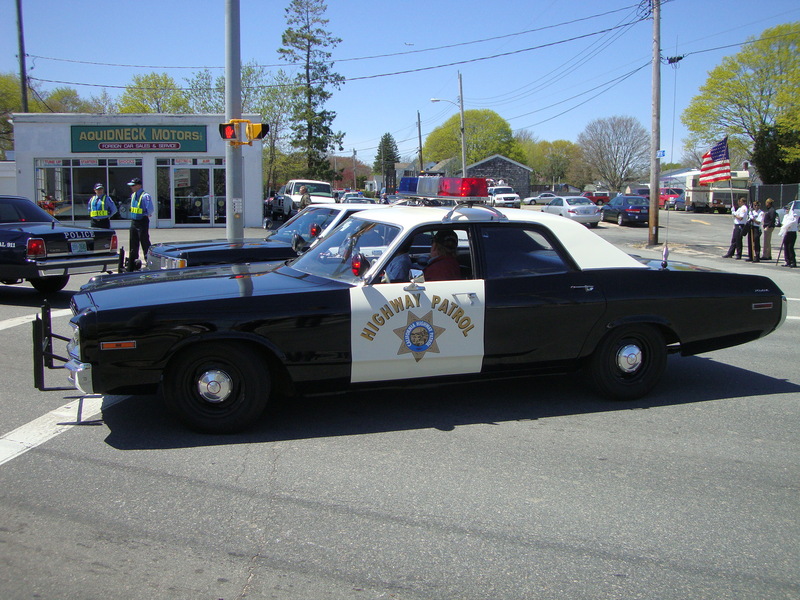 So why did the 1974 Chevrolet Nova 9C1 go down in history as the first vehicle to break the stranglehold on what constituted a traditional police cruiser? Plain and simple: it was not American. As noted in Dodge, Plymouth & Chrysler Police Cars 1956 – 1978, “Even in Southern California, no way could the Volvo 164E be America’s best patrol-class squad car”. And that was the sad truth. There was simply no way police officers in any municipality were going to swap out their body on frame, V8 powered 120+ inch wheelbase cars for six cylinder unibody 107 inch wheelbase foreign cars. So it wasn’t quite Volvo’s Crown Victoria, but it came damn close. Just as quickly as it rose to fame via MT and the LASD/LAPD, the police spec 164 fell into the dustbin of history. One final note: As an 164 owner and having also climbed in and out of mid ’70’s American cars, I will say that the Volvo is a much tighter fit for my 6’1 frame, even if the testing figures don’t note that it was any less comfortable inside (the 164 earned the highest score in ergonomics with a 76 by a wide margin – the Nova was second with 64). All images courtesy of Timothy Wade, unless otherwise noted.